Nail Fungus Living in southern California, flip flops and sandals are a way of life, unfortunately dirt and fungus can enter the nails, which can thicken the nail placing excess pressure to the surrounding the skin. Fungus enjoys warm, moist environments where fungus can penetrate the nail, changing the color and even making the nail thicker, which over time becomes more and more painful. Our podiatric physicians are specialized in both the conservative and surgical treatments of all painful and debilitating foot and ankle conditions. 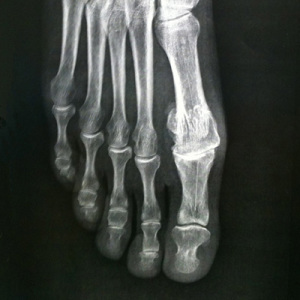 These include complications from diabetes, ankle and toe injuries, structural deformities (flat foot, high arches, Charcot, etc) bone and joint deformities (bunions, hammertoes, spurs, etc). Several of these conditions respond very well to conservative treatments including proper education, physical therapy, and injection therapy. We look forward to helping you become pain free and get you back to enjoying Southern California. Bunion (Hallux Valgus): ­ A painful, inflamed swelling of the joint of the big toe with a deviating toe and a prominent bump usually causing pain in shoes and worsening overtime. 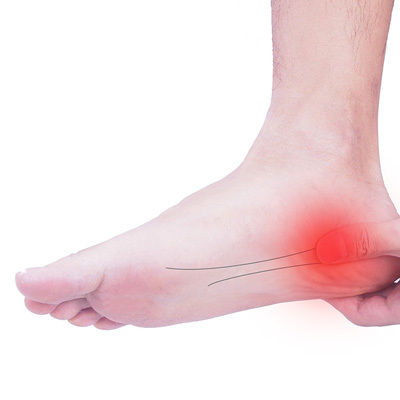 Plantar Fasciitis: ­ A painful inflammatory process of the plantar fascia, the connective tissue on the bottom of the foot, usually near the heel. Pain is worse in the morning and improves slightly throughout the day. 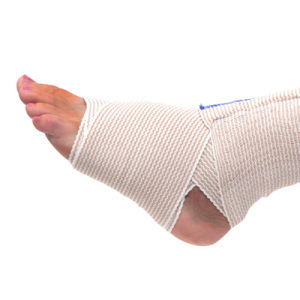 Ankle Sprains/ Chronic Ankle Instability: Ankle pain is usually associated with an injury tearing, or partially tearing, the ligaments that stabilize the ankle. This can occur in people of all ages and all activity levels. 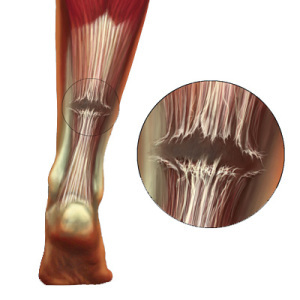 Achilles Tendon Injuries: ­The Achilles tendon is the thickest and strongest tendon in your body connecting your calf muscles to the heel bone. Injuries to this tendon can involve tears, inflammation, or friction from rubbing against a bump on the back of the heel bone. Big Toe Arthritis/ Hallux Rigidus: Big toe arthritis is painful inflammation of the joint at the base of the big toe. Usually originates from a hereditary component, the big toe feels stiff and loses range of motion causing pain when walking especially when exercising. Ankle Arthritis: Occurs when there is destruction of the cartilage within the ankle joint. Cartilage is the smooth thin layer of soft tissue that covers the surface of the bone allowing two bones to move freely. When the cartilage is damaged, the bone rubs on bone causing inflammation and pain to the ankle. Cysts: ­ A cyst is a closed sac just underneath the skin that may contain air, fluid, or gelatin­like material. 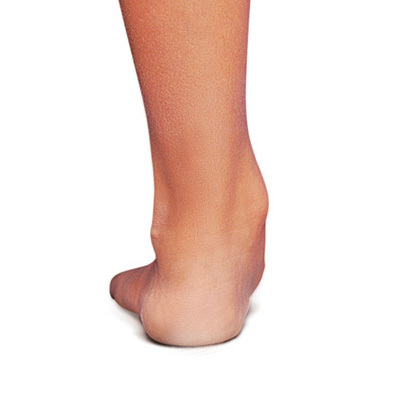 Commonly formed on the top of the foot but they can also appear anywhere on the foot or ankle. It is important to be evaluated to ensure it is not a pus- filled sac, or abscess, that may need to be treated early. 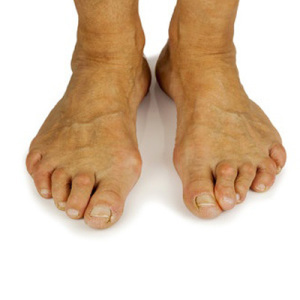 Flat Feet: ­ Flat feet or fallen arches (pes planus) is when the arch of the foot collapses with almost the entire foot making contact with ground, causing cramping on the bottom of the foot with ankle pain developing over time. Some people also have arch pain due to the tendon being damaged. Diabetic Foot Conditions: Diabetes is the cause of many foot conditions because many diabetics experience nerve damage, decreasing sensation to their feet. Some of the conditions include Charcot foot, neuropathy, ulcers (sores) and infections. Diabetics also can have less than optimal blood quality due to high amounts of sugar in the bloodstream. Neuroma and Nerve Pain: ­ A neuroma is inflammation of the tissue surrounding nerve due to entrapment/pinching, lower back issues, or direct irritation to a particular nerve. Nerve issues can be very painful and can worsen over time. Nail Fungus: Living in southern California, flip flops and sandals are a way of life, unfortunately dirt and fungus can enter the nails, which can thicken the nail placing excess pressure to the surrounding the skin. Fungus enjoys warm, moist environments where fungus can penetrate the nail, changing the color and even making the nail thicker, which over time becomes more and more painful. Warts: Plantar warts/verrucae are viruses that create painful lesions usually on the bottom of the feet and are sometimes confused with calluses. Warts usually occur in young children and some elderly and can be fairly painful. If you notice abnormal growths, they should be evaluated and treated as soon as possible. Ingrown Toenail: An ingrown toenail is where the nail places painful pressure on the skin on the sides of the nail, acting as a foreign body. Usually with some hereditary component, ingrown nails often resolve on their own. When they don’t go away, the nail can rapidly become red, swollen, and painful with yellow discharge from the nail. Sports Related Injuries: Staying active is imperative to one’s health. Weekend warriors and athletes play hard in their individual sport, sometimes resulting in traumatic or overuse injuries. 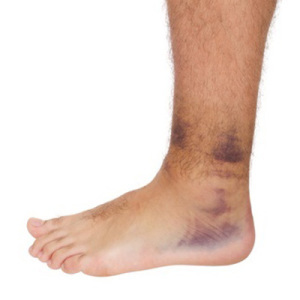 From turf toe to broken ankles, these injuries need to be treated as soon as possible with as little down time as possible to get you back to doing what you love. Corns and Calluses: With friction and rubbing commonly occurring on the foot, the skin becomes hard and can be painful. Common with elderly and athletes, the calluses can become so large they crack and a fissure or crack can form causing pain. Treatment should be conservative and consistent to keep the hard skin from becoming problematic.